Red Cross is helping former refugees form closer connections and address social isolation through a cooking group. 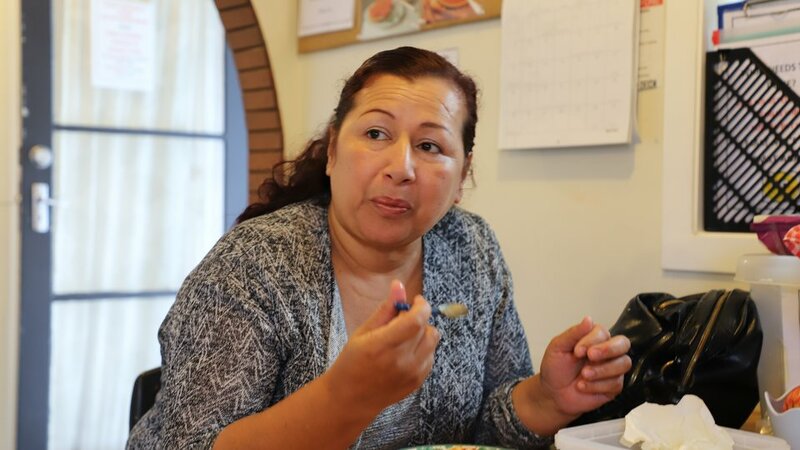 The smell of freshly baked bread wafts through the one-story house in Lower Hutt, while a group of women from Colombia stand around the kitchen table, sipping coffee and catching up. It’s the setting for a monthly cooking group run by Red Cross that has been running for two years and was initially created to address the social isolation some former refugees were living with. While the initial purpose of the group remains a key focus, the group has also changed over time in response to feedback from the women involved. Each time they meet, the group learns a new recipe. Often the food that is cooked depends on what is donated by Kaibosh that week. On the menu today is a warming lentil soup and dense grainy bread, exactly the sort of hearty meal needed to deal with the grey, wet, and windy day Wellington is delivering. The meal prep is shared amongst the women with some eagerly jumping at the opportunity to chop the vegetables and knead the dough, while others are happy to sit back with a cuppa and offer support when needed. The camaraderie between the attendees is clear and they’ve become firm friends over the two years the group has been underway. Many of the people who show up are the same people who attended the initial sessions. “The intention is that it’s fairly fluid to make sure we’re meeting the needs and wants of the participants,” says Grace. The cooking group is now also supported by Regional Public Health and the plan is to open the sessions up to the wider community, something the women have requested. New Zealand accepts around 1,000 refugees each year who are settled in Auckland, Hamilton, Palmerston North, Wellington, Nelson, Dunedin, and Invercargill. One way you can support new arrivals in your community is to reach out and offer a friendly welcome, whether it's a shared meal or quick chat over the fence. These connections can make the world of difference to people arriving as refugees. You can also join our team and form part of the welcoming committee for former refugees in your community. We’re recruiting for refugee support volunteers in seven locations around New Zealand.